What are the Reasons behind Infertility? - Reasons for infertility in a human being may be the lifestyle, food habits, or obesity etc. What are the Reasons behind Infertility? 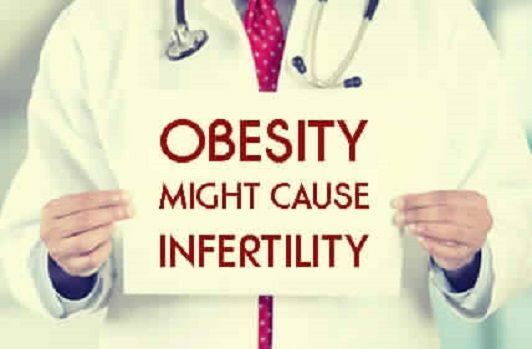 Reasons for infertility in a human being may be the lifestyle, food habits, or obesity etc. There are various reasons behind infertility – mainly caused by trouble with ovulation in women. The trouble with Ovulation is the release of the egg by one of the ovaries. PCOS, Uterus Problems, Blocked Fallopian Tubes, Primary Ovarian Insufficiency, etc. are some of the related problems. Not to mention age that cans also a cause behind infertility. With the aging process, number and quality of eggs start to go down – mainly in the age group of 30-40 years. Food and fertility are important cause specific food habits can support fertility to a little longer at growing age. Infertility is not only associated with the women; it is the equally common problem in men. There are different conditions that may lead to fertility problems. Some of the common causes include hormone disorder, infections that affect the making of sperm and swelling of veins in the testicles. Amount, size, shape and movement of the sperm are also the main reason for infertility in men. Before the problem gets severe or you are unable to become the parent, it is better to schedule an appointment to consultants or specialists. It is vital, in case you have tried to get pregnant for a year or a few months or women are older than 35 years of age. Which Way Is Convenient to Find Fertility Specialists? You can talk to your family doctor or share your problem with the family member of friends or search online. They will suggest you the names of doctor and specialists. Scheduling an appointment online is one of the convenient ways that will help you in reaching the right clinic or a specialist. There are a number of renowned clinics and fertility treatment specialists recommending you the best exercise and treatment to get rid of the problem. Doctor or specialist may suggest your surgery, if you have problems like Polyps, Fibroids, and Uterine Congenital Malformation, blocked or damaged fallopian tubes and endometriosis. Varicocele may also the cause behind infertility. It is better to find the specialist. If infertility treatment fails then there are alternatives to non-treatable infertility problems like IVF and Surrogacy. 23 Tarkhnishvilis street. Aprt 10, Tbilisi – 0179, Georgia.